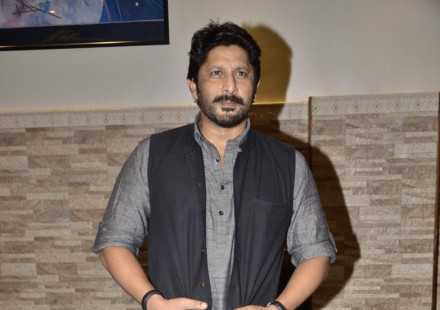 Arshad Warsi started shooting for Subhash Kapoor’s Guddu Rangeela on Saturday. He is geared up to face the heat and dust during the 10-day schedule. “Goodmorning. Action for Guddu Rangeela starts today...10 days of heat, dust, dirt, pain,” tweeted the actor, who will star with Amit Sadh and Aditi Rao Hydari in the film. Kapoor is known for his satirical comical dramas Phas Gaye Re Obama (2010) and Jolly LLB (2013). Sadh was injured while filming the movie in Shimla mid-March. The leg injury had knocked him out of action for a while as he had to undergo a surgery. But the Kai Po Che actor is now back on his feet. He resumed the shooting of Guddu Rangeela five days ago, said a source close to Sadh. Meanwhile, Sadh is also making sure that his injury doesn’t come in the way of the shoot anymore. “He is committed to the project as he had already lost time and is now making sure his injury doesn’t affect the shoot anymore,” the source added.